Liz Kelly: Liz is an extraordinary professional business woman. 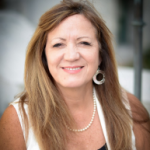 Her clients’ have mentioned and expressed gratitude towards her for being the “Consummate Professional Realtor” they can trust as well as enjoy the process of buying or selling their home with her. “Her knowledge of the marketplace and determination to satisfy her client have brought us happily through three closings” Bob Conigliaro VP Community Relations, Caspers Co.
Lindsey Finer: Founder “Living Finer” Preferred Properties’ Finer Homes Division and branch office in S Tampa specializing in Urban, Historic and SoHo living. A University of Tampa graduate and long time S Tampa resident, Lindsey’s university skills, local market knowledge, remarkable enthusiasm and love of the new urban lifestyle options have her on the cutting edge of enhanced real estate technology providing her clients with expert like facts and figures allowing them to sell or buy in the shortest amounts of time and at the very best price the market will bear. 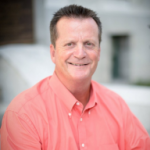 Bob Kelly, Broker: Bob often hates to admit that he has now held both a Real Estate Broker as well as General Contractor’s license since 1980 but his long time experience in both has proven in valuable time and time again to our client’s satisfaction. His market knowledge is vast, his negotiating and closing skills nationally recognized and best of all he is locally available to help our clients with often the biggest purchases and sales in their lives. 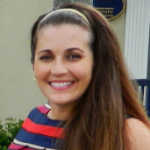 Jenna Ray Kelly: Upon completing her education at FSU Jenna has returned to her roots to focus her attention on the N Tampa, Lutz, Land O Lakes and Wesley Chapel real estate market areas. 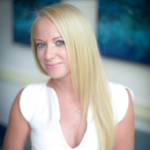 Jenna is well connected to hundreds of potential clients, both Seller’s and Buyers and has an extraordinary knowledge of REO’s (Bank Owned Properties), Short Sales and pre-foreclosure properties. She also has a vast knowledge of special programs available to 1st time home buyers as well as VA programs for our veterans.